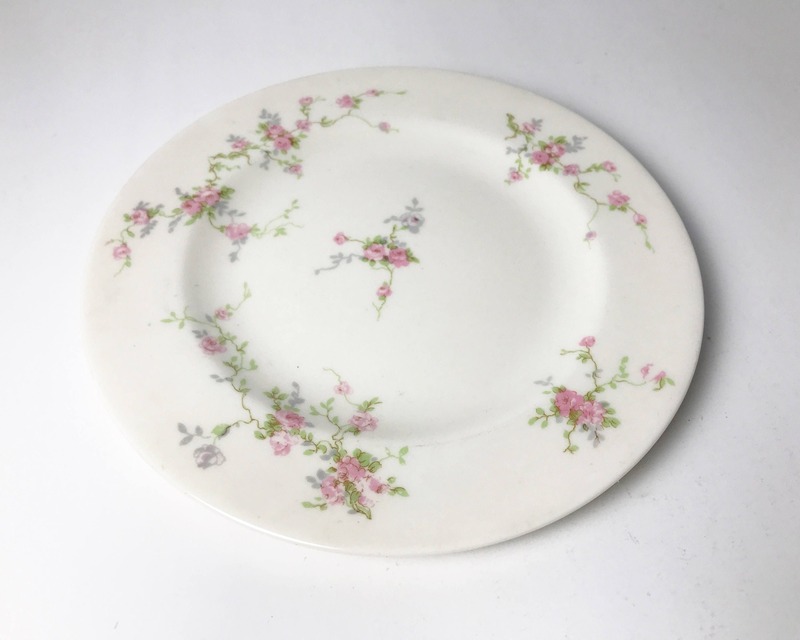 This is a lovely bread and butter plate by Theodore Haviland featuring tiny sprays of pink roses and rosebuds. 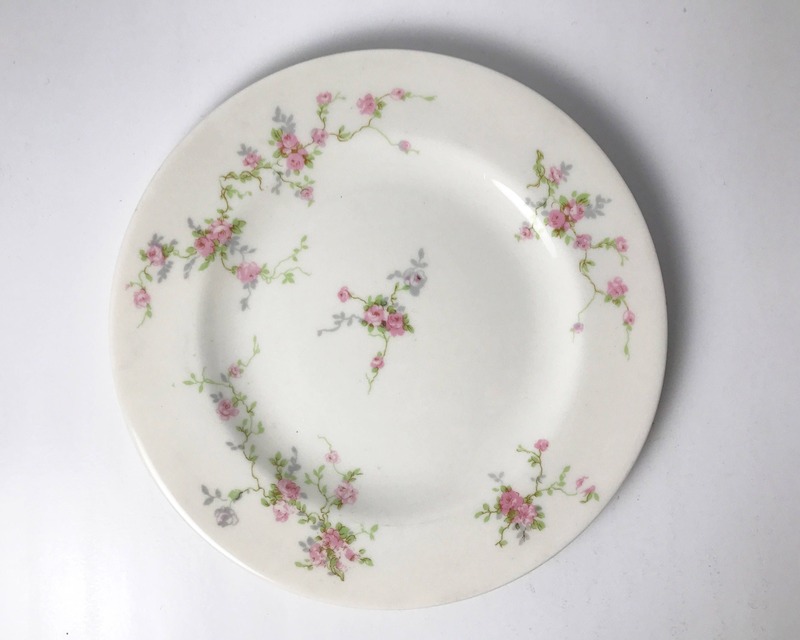 Haviland China is renowned for its stunning white paste porcelain, were the favorites of the White House. 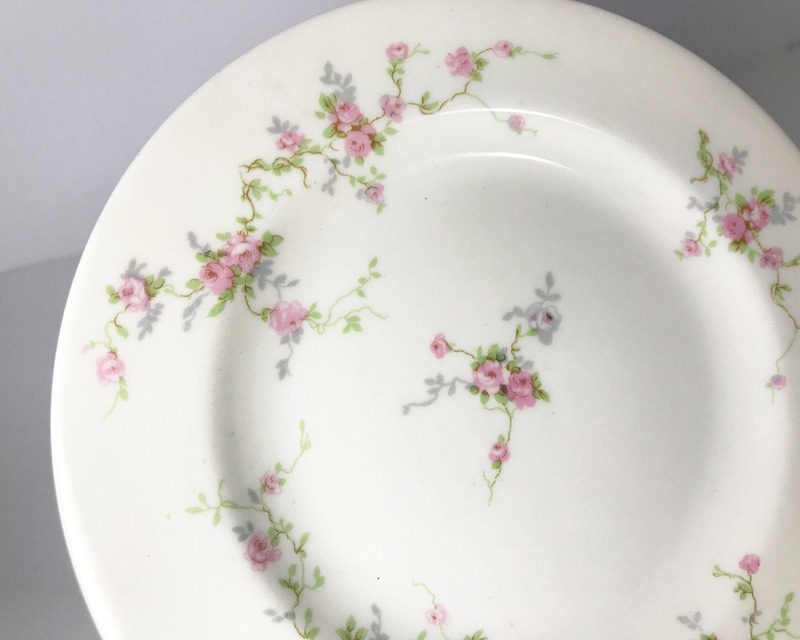 Theodore Haviland was the son of the founder Charles Haviland, and he left Haviland & Co in 1893 to start his own china company. 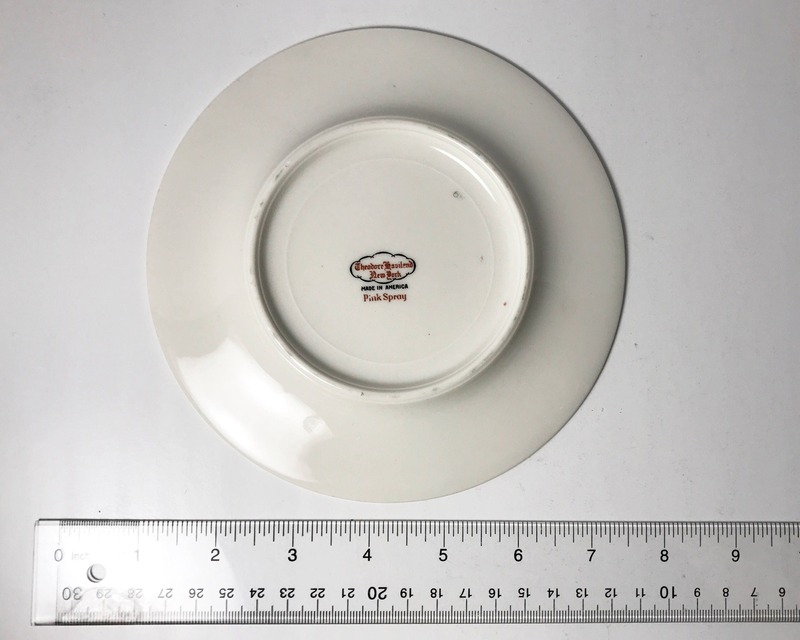 He was an innovative marketer and a successful businessman, and his Theodore Haviland china company outlasted the parent company, but then the two were once again merged later on. 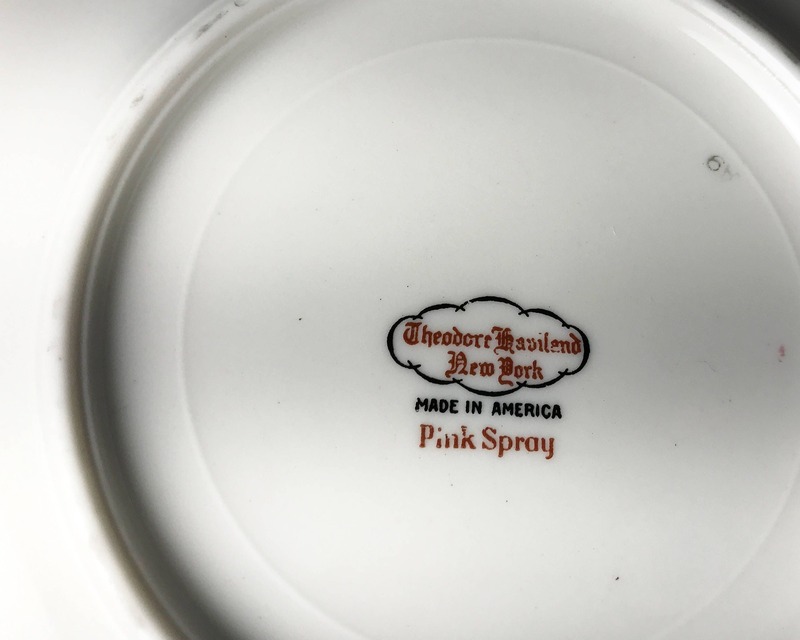 This set is marked 'Theodore Haviland, New York' which dates the pieces between 1936 and 1957 as Theodore moved the factories to America to avoid the war in Europe. The pattern is called 'Pink Spray'. 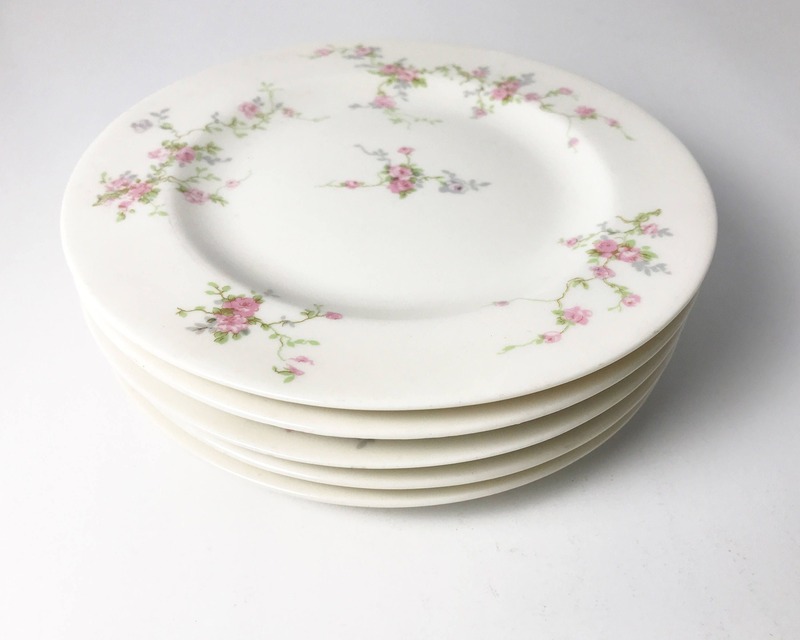 CONDITION: Each piece listed is in good condition with no chips, nicks or cracks. Each piece is marked. This set however did receive use and there are some utensil scratches here and there. 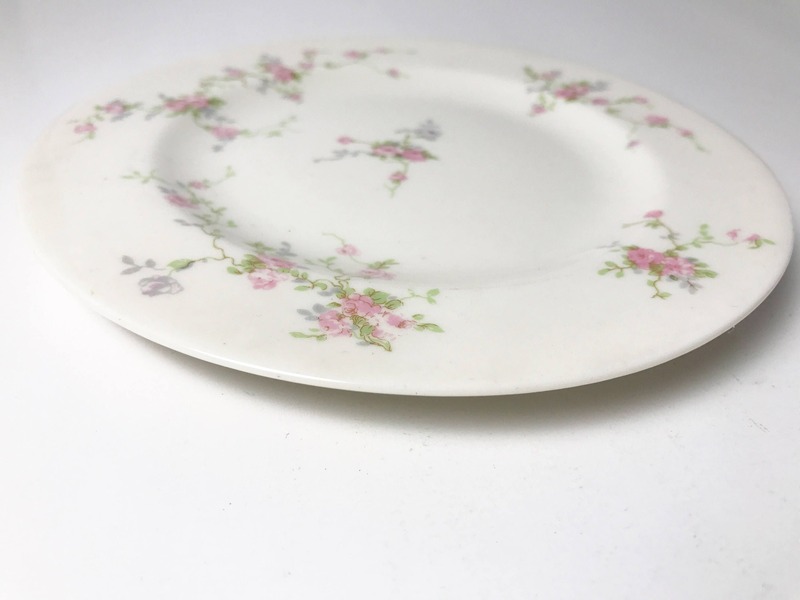 SIZE: 6 3/8 inches wide. If you wish to buy more than three pieces of this pattern message me for a bulk discount.